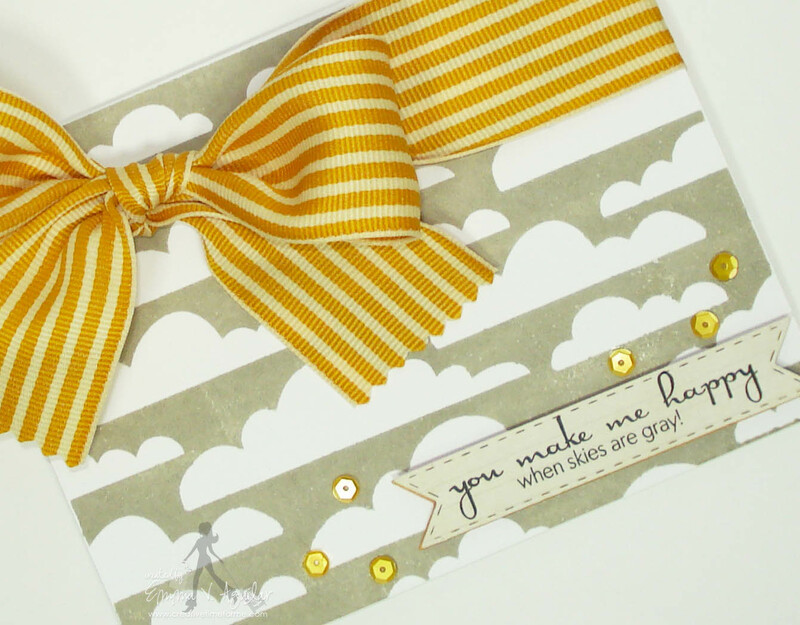 My Creative Time: HAPPY "500th" Video AND a Surprise GIVEAWAY!!! Well, I have a SUPER SPECIAL video for you today! I usually don't post on Sunday's, BUT there is a rumor going around that "Google reader" is expiring tomorrow, July 1st. So, for those of you who follow me through "Google reader", you will no longer get email updates as to when I post on my blog! There are a couple of ways you can follow me....if you have a blog, you can go to my blog through blogger.com under your "blogs I follow". OR you can join Bloglovin.com & you can sign up to follow me HERE to start getting email updates again! Well, THANK YOU ALL for stopping by & here's to another 500 videos! P.S. Don't forget to watch my video for the SURPRISE GIVEAWAY! ;) RANDOM.ORG WILL PICK A WINNER ON WED, JULY 3rd! For a couple of chances to win, leave a comment HERE AND over on my YOUTUBE channel! Feel free to subscribe while you are over there! ;) ALSO, very important, don't forget to leave a way for me to contact you! Hope you had a great weekend Miss Emma! That is a beautiful stamp and I can't wait for it to be released. I love your stamps. Love love the new stamp, can't wait!! what an awesome stamp!, the card is beautiful, the colors are fabulous together. I am following with bloglovin now, already subscribed here. Congrats on your 500th video! Great card! On my way to check our your You Tube channel. What a gorgeous background stamp Emma!!! Love the way it stamps too :) so looking forward to your new release...eeekk I can only image what awesome new stamps you have designed!!! Thanks for sharing a sneak and for the chance to win!! Have a great night!!! Forgot to say too...congrats on your 500th video!!!!! Love this card! Can't wait to get this stamp. Wow!! CONGRATULATIONS on your 500th video!! I think I have seen them all! LOL and Emma I can only imagine what the rest of this release will look like...this stamp is awesome! I can't wait to see the rest! thanks for the sneaky peak and the chance to win!! Congrats to you, love that stamp set!!! Awesome new stamp! Carats on your 500th video. Can't wait to see what you have in store for the next 500. That stamp is wonderful.............and love the colors!!! So bright and cheerful. Emma, congratulations on your 500th video. I really like this stamp, and thank goodness for baby wipes! 500 videos, congrats! Love this cloud background stamp, definitely a must-have for me. I'm really looking forward to the July release, and the next 500 videos! I love the cloud stamp you showed in your video! I can't wait to see this new release!!! July 3 is my birthday and I wanna win!! Thanks for the chance! And Congrats on those videos, they are great. Congrats on your 500th video!!! Wow! I didn't realize that you have done that many video's, and I even watch them all. lol I am so loving that new background stamp of the clouds!!! And it was so striking stamped in that grey! Talk about stormy sky's. lol Glad that you are feeling better too. I am following you on Blovlovin now. wow how super cool congrats for 500. I love this new Stamp it perfect and would love to win. thanks for sharing and for the chance to win. I subscribe and follow you. Have a wonderful day! And tha ks again for all you do and share! Love, love, love this stamp!!! Just like your other stamps and dies, it will be so versatile!! Here's to another five hundred videos!! 500 videos, wow!! Congrats, I have loved all of them since I started following you years ago! I've signed up to follow you on Bloglovin now. The stamp is awesome and it inks up and prints beautifully! Thanks for the chance to win! Glad to hear your feeling better:). Congratulations on your 500th video. Your new stamp is awesome, can't wait to see the rest of the set. Wonderful background cloud stamp - also congrats on your 500th video! CONGRATULATIONS on your 500th video! I always look forward to your awesome videos and appreciate all of the work you put in to share your beautiful projects! And WOW...love your wonderful new background stamp! I'm excited to see your entire July release! Glad you're feeling better :) ...take care and have a great day! As always your cards & stamps are amazing!! And congratulations on your 500the video, Wow that's a lot of videos!! I've learned so much from you, your products are amazing! Stay fabulous!! Thanks for the chance to win! Congratulations, just the other day I was thinking you have not made any more "gypsy girl" videos. I learned a lot from you so thank you so very much. Congrats on 500th video. Thanks for giveaway chance. Like the new background stamp. Thanks for all the fun videos and look forward to many more. 500 Video's! Congrats and love the new stamp! Wow, 500 videos! Congratulations! Looking forward to many more. Congrats Emma on 500th video! This stamp is just so adorable! Your cards and projects continue to amaze me. god bless! Emma, congratulations on your 500th video! Thank you for sharing your creativity with us. What a pretty card, I love the new background stamp. I am always looking for clouds. Congrats on your 500 video and have a great day! Always anxious to see your new releases...and I love these clouds! Congrats on 500 videos...you're my hero. TFS, your card is lovely!!! Super cute card! CONGRATS on 500 videos! What a great accomplishment! Love the stamp, love the card! Thanks for the chance to win. What a pretty stamp. I would love to win it!! Thank you for the chance. Good thing I just signed up for the bloglovin thing-a-ma-bob a few weeks ago! I hope that nothing has to change and that I am just following in an additional way. WAY TO GO ON 500 VIDEOS!!! How exciting. Can't wait for the new release. The cloud background is so cool. I really wish I could get the cloud dies by themselves! What an addition that would be! Congrats on your 500 videos! Thanks for the chance! Happy 500th video day!! Thanks for sharing all of your creative craftiness with us. I can't wait to see what goodies you have for us in the new release. This cloud background stamp is excellent. What a beautiful cloud stamp! Love all you card ideas.. Thanks for all the great videos you put out.. Thanks for the info about Bloglovin too. I'm so excited about the next release. Great card. Awesome stamp. Thanks for a chance to win. Congrats on 500! This stamp is definitely on my wish list. Love how you finished the card. So glad that I have been enjoying you for the last few years. Happy 500! Love the stamp, and hope you are feeling wonderful! OMGoodness!!!!! I LOVE this new stamp and can't wait for the new release! I am Super excited! Thanks, Nikki for suggesting this stamp to Ms Emma!!!! Emma, great stamp! Can't wait for the new release. Congrats on your 500th video. It was really great to see you on the other side of the camera for once. congrats .Love the stamp . Another great stamp. Congratulations on 500 videos. I know I've seen quite a few and always learning something new. Loving the new stamp! Happy new release coming this month! This new stamp is fabulous. 500 videos, congrats. 1st of all, Congrats on your 500th video! Your gypsy how to videos have helped me so much!! Love your videos! : ) Love the cloud stamp too. Can't wait for your new release! Thanks for a chance to win! congrats on your 500th video, Emma!!! love watching them everyday!! :) love that stamp, thanks so much for a chance to win!!!! Congrats on your 500th video. I can't wait to see the new release, you always out do yourself with your stamps, but also love to see what you and your design team make with them. Great to see you on this video vs just your hands. I love your videos!! You are so inspiring!! Congrats on your 500th video. Can't wait for the new release and to see your dt projects. Congrats on your 500th video - and how wonderful to have YOU on camera, chatting with us! This video, like all the others, is fantastic! I don't like 'colour-kissed' stamps, so knowing how to clean them thoroughly is ever so helpful!! Looking forward to the new release!! Thanks for sharing your talent!! I subscribe to your YouTube channel, so I won't miss any of your videos. Congrats on 500 videos!! Once again you have created something that is fun tastic! Congratulations on 500 videos! It was nice to see you on the video, and I hope you can do 500 more videos. Love the new cloud stamp. I have been looking for background stamps lately. I can't wait to see your new release. This is a very impressive feat. Congratulations and here's looking to the next 500. Love the cloud background stamp & that it is so big. I'm loving thr background stamp. Thank for always showing us all your work your awesome. Congratulations!! I love clouds! So excited to see this stamp. Such a cute cloud background stamp! Thanks for sharing how to clean....I never know if I'm compromising my stamps with soap, so this was helpful!. Congrats on 500! Here's to 500 more! Congrats on 500 videos. I think of it as 500 awesome inspiring ideas from Emma. Love the cloud stamp. I have many of your stamp sets, they are my go to first when I'm making a project. 500th video - great job. I love your products. Love the new stamp. Congratulations! that's so exciting 500th video and I hope you do many more. Love the bigger stamp to do your own backgrounds I'm excited to the rest of the release. Congratulations on your 500th video! Love watching your videos for scrappy inspiration! Beautiful card, great new stamp - looking forward to the release! Again congrats! Hugs ~ Carol W.
This is such an great looking stamp. Thanks for all your videos....you have truly taught me how to use my Gypsy!!! Thanks again for all﻿ your tutorials!!! Love the cloud stamp and looking forward to your new release! Congrats on your 500th videos. Love your card. Thanks for the chance to win. Wow Girlie...you've been a Crafting Video Queen for sure. I love all of your videos and I'm sure I've watched them more than once or twice. Keep 'em coming. Thanks for the chance to win. p.s. It's always good to see your face in the videos and not just your hands...lol "Smooches..."
Very nice background stamp that can be used for many things. It made a lovely card. Yay!! Congrats on you're 500th video. Wow! Keep doing what you are doing because you are amazing at it!! Loving the awesome background stamp! Congrats on your 500th video!! Cant wait to watch many..many..many more from you! Love the new stamp!!!! WTG on your 500th video. Great cloud stamp, thanks for a chance to win it. Wishing you a great July. Congrats on your 500 th video! I love your card and your new stamp! Have a great day. Congrats on your 500th video! I am so glad you continued to make them. I have learned so much from you, especially on how to use my gypsy:) I always go to your blog and videos for inspiration! Super cute cloud stamp, hope I win it:) OMG this release is going to be awesome! I have to start saving up my pennies:) lol. By the way your card was so cute! :)Loved how you used the yellow bow to cover the boo boo:)lol. Congrats to you on your 500th video! !Super Cute Stamp!! !Already follow you on bloglovin.. I have learned so much from your blog & YouTube videos. the new stamp is gorgeous! Thankyou for the chance to win it. Just thought I would pop by as haven't had time to of late and wow looks like I arrived just at the right time what a super cute card. I am glad your feeling better. how super duper fun!! Love it! Love all your projects, stamps, and I am always looking forward to what is next! I really love this background stamp left you as comment on Youtube so came right over to comment again I really like this stamp and I watch your videos, congrats to you on your 500 can't wait for the new release. Happy 500th episode. Love your videos, ideas, and products. Congrats on your 500th video and thanks for the chance at this wonderful background stamp. Congrats on your 500th video and the chance to win. I think I've seen all of your videos and I truly appreciate all you do. I love your video and the card is beautiful, thanks for the opportunity to win such an awesome background stamp!!! Congrats To You Miss Emma....Hugs!!!! woo hoo!!! Congrats on 500!!! LOVE the new stamp!!! So happy! many congratulations on your 500th episode! My very favorite show online!! Cant wait for this release in its entirety!! Congeratulations on 500 videos!! WOW!!! Love following you and haven't missed many videos but will be using this summer to make sure to catch up. Thanks for the chance to win this amazing stamp!!! Congratulations on 500 video's! Wow Emma that is amazing! Thanks for all you do!!! I absolutely LOVE this new stamp, and would be thrilled to win... thanks for the chance. Holy Moley, What a wonderful stamp!! This is a must have!! Congrats on the 500th video, what a wonderful milestone to reach!! Beautiful card. Thanks for bloglovin.com. Hi Emma, I am a new subscriber to your videos - WOW, I'm so glad I found you! Congratulations on your 500th video! Now I'm off to watch the other 499! Love love the cloud stamp! I don't know which to comment about first! That stamp is so cool!! And, 500 videos...that's amazing! I love your blog and your products. You make me a better crafter! Emma congratulations on your 500th video!! Your videos are amazing and I look forward to each new one that you do! Thank you for the chance to win! 500 Hugs and Kisses for the best blog ever! I am a number one fan of you Miss Emma and just love all you make and do! Your videos are something to look forward too!!! Thank you for the chance to win this beautiful stamp! Can't wait to see this release!! Happy 500th video! I'm fairly new to your stamps but my collection is growing! Thanks so much for your creative work and inspiration. Have a great 4th of July. WOW, CONGRATULATIONS ON 500 VIDEOS! I would love to win this new stamp. HAPPY 500 video. Congrats on your 500th video. I love your card. Great stamp Emma! And Congrats on 500 Videos! You will always hold a special place in my heart! You taught me to use my Gypsy before you were even selling stamps! I love your videos! What is that big thing you put your background stamp on? Where do we get one? Sorry it didn't link, but just copy & paste this into your browser! I like tht stamp and ink TFS!! Also congrats on your 500th so happy for you yay!!!!! Great card and even better stamp! awesome awesome stamp emma. 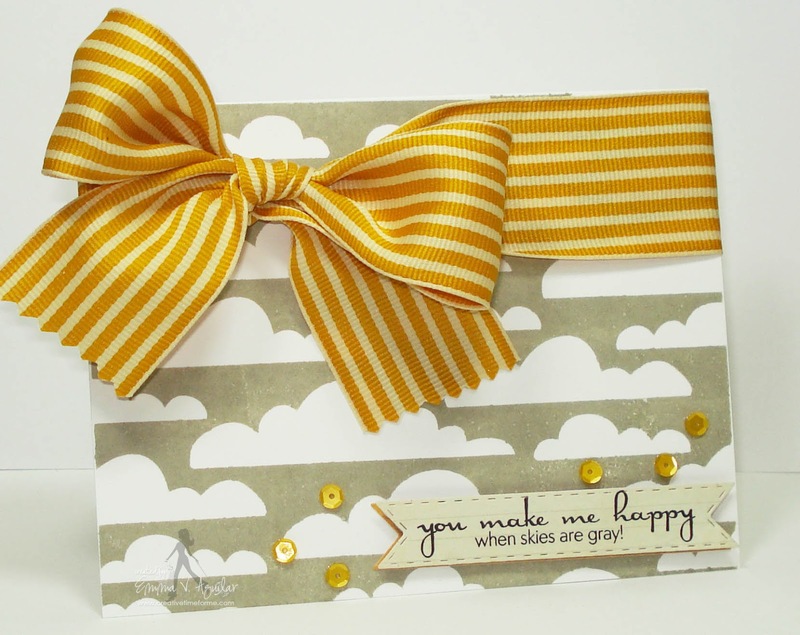 I just love the huge background stamp idea and especially because it is clouds. cant wait to see the big release!! I cannot wait to get this!!! It's beautiful! Congratulations!!!! 500 Wow... That is amazing... Wonderful stamp too. I love it. Emma, your stamps are just so great...love how cute and appropriate they can be for sentiments. Love that background stamp!!!!!! Congratulations on your 500th video!!! Love the stamp congrats on # 500 video! Congrats on your 500th video. Love to watch them and I love your stamps!!!! Love, love your card. I really like the colors you chose and I very much enjoy the new background stamp, your very talented. Thank you for the chance to win!! Love your card, well anything you create really. Thanks for the chance to win. Congratulations on your 500th video. I love your work and you have so many great ideas. Keep the videos coming. Love the cloud stamp and look forward to seeing the new release. Your stamps and dies are of great quality. Congrats and thanks for the chance to win! The card is really cute. Congratulations on your 500th video. Love the card and stamp! I'm in LOVE with this stamp set!!! It's just adorable. Congrats on your 500 videos, I can't wait to see 500 more! Thanks for the chance to with this awesome stamp. Love the stamp and thank you for giveaway! congratulations on your 500th video.. What a great giveaway! Awesome! Congrats on 500! I love all your creations, stamps & dies! Already switched to Blog Lovin so I don't miss a thing! Congrats on your 500th anniversary!